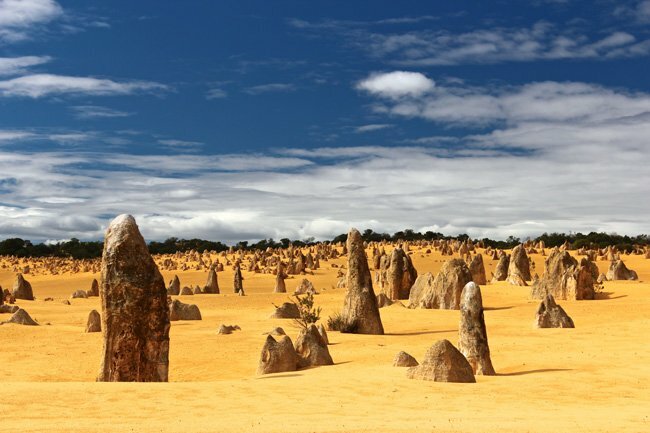 Driving the Australian outback is a very bucketlist worthy endeavour. It’s been one of my favourite trips throughout my nearly four years of travel! But it’s also not one of the safest things to do if you don’t come fully prepared. So here is all you need to know before getting into your 4WD. 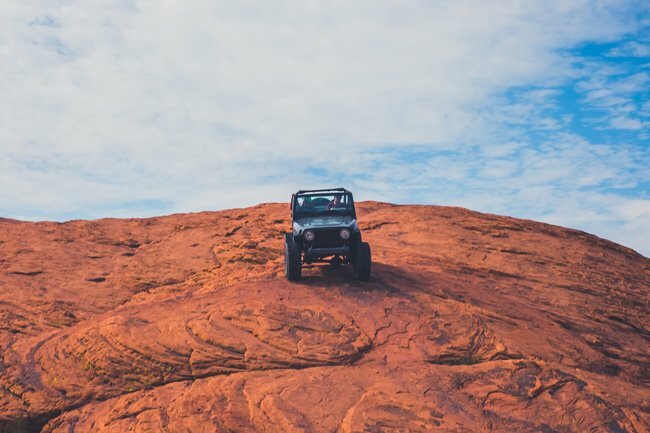 What Car Do You Need for Australian Off Road Trips? Should You Plan a Four Wheel Drive Adventure in the Outback? As soon as you enter the bush and go on the Australian off road, the car needs to keep up. This means, the car of your choice should be a four wheel drive. (And never a European soft-roader!) It can go offroading on gravel roads, scoot along sandy beaches and has enough space to keep your provisions and equipment in the outback. Fun fact: A 4WD isn’t the same as a 4×4 (although it is often used interchangeably, like in this post). Regular cars will more easily get damaged and stuck and that is the last thing you would want in the middle of nowhere, where it can take hours for another car to pass by. 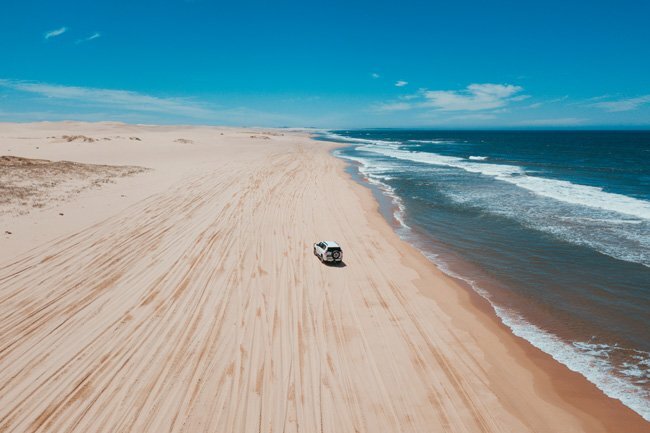 Here’s a pro tip: In case you do want to drive on sand, such as on Fraser Island or to Mini Sahara on Kangaroo Island, let air out of your wheels. Otherwise, you will get stuck and that just shouldn’t be part of any 4WD action. More info: Do you really need a 4WD for your particular outback trip? However, that being said, you don’t need four wheel drive cars for a lot of the major outback sites. An ordinary 2WD Sedan is totally fine if you’re just cruising along Stuart Highway and branch off to Kata Tjuta, Uluru, Kings Canyon, Flinders Ranges and towns, such as Coober Pedy and Alice Springs. For truly off-the-beaten-paths and 4WD tracks, such as Lake Eyre, Sandover Highway, Gibb River Road and through Simpson Desert, you absolutely require a 4WD. For ultimate comfort (no setting up tents or rolling out swags), get one of the 4 wheel drive vans. There are two affordable ways to get a car to roadtrip the Australian outback. Number one, is you can sign up for relocation services. This means, a car rental company needs someone to drive their 4 wheel drive rental back to the original destination. This is a paid gig and involves a set route and time frame. However, at the same time, you have certain freedom to make road stops and detours as long as you deliver the car before the deadline. What Is A Four Wheel Drive actually? It is a vehicle with four-wheel drive that is designed for off-road driving. You can either get a used one from a car dealer or go the general backpacker route. Get it from other travellers. For getting the best 4 wheel drive, there are three options: A) Get word-of-mouth out there and ask in hostels and facebook groups. B) Check all the blackboards in the local hostels. C) Hop on Gumtree. 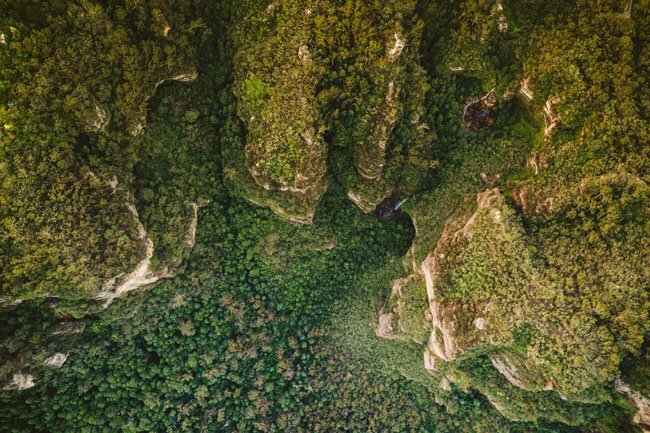 Gumtree is the best option for looking at a lot of offers out there in one spot and it is the go-to site for finding or placing search requests while in Australia. You can find accommodation, furniture, travel gear and get used cars on Gumtree as well. There are tons of great deals on Gumtree at all times, with a daily number of 1.9 million items for sale in 2016, but also bad ones. You need to invest a few hours to browse through all of them and narrow down your options on the best 4 wheel drive. Download the app to keep track of them easily. Watch out for red flags, such as vague descriptions, missing vital information or no records of the Gumtree account owner. Put together a wish list of what you want in four wheel drive cars as well as questions you might have. Don’t hesitate to get in touch regarding the Aussie 4×4 ads rightaway and ask your questions. 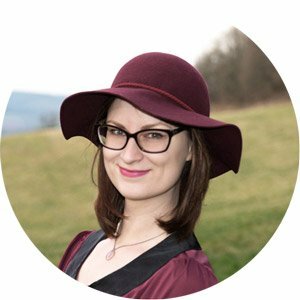 Ads come and go super quickly, so get in the game asap! 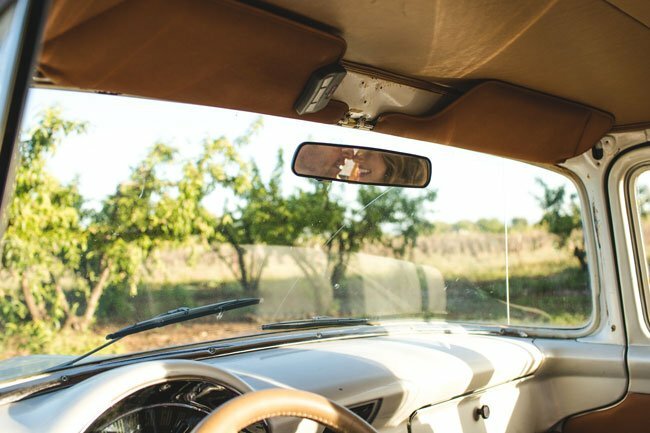 If you can, check out the car in person (and a safe, public place), inspect the car documents and Vehicle Identification Number (VIN) across several places on the four wheel drive and do a test drive in person before you agree on swapping money for the car. Ideally, you would want an entire car checkup before you close the deal. However, before you hit the road, you need to definitely get it checked. For instance, the oil is often overlooked – on purpose or not – by plenty of backpackers. This leads to plenty of unplanned car stops and I have met a couple of such backpackers myself. Don’t be that person! 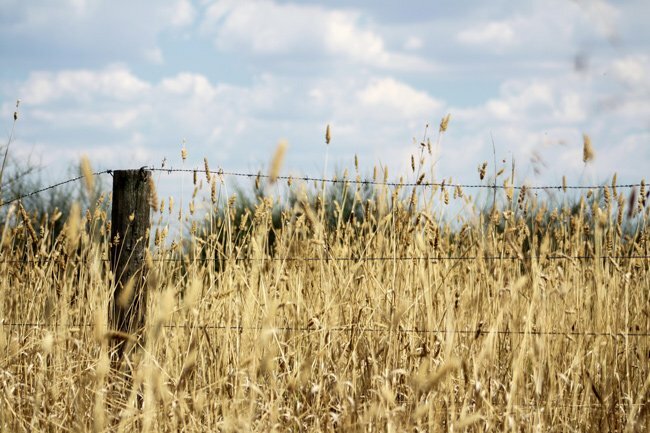 When it comes to the Australian outback, you can’t just go where the wind blows. People regularly get lost and never return. 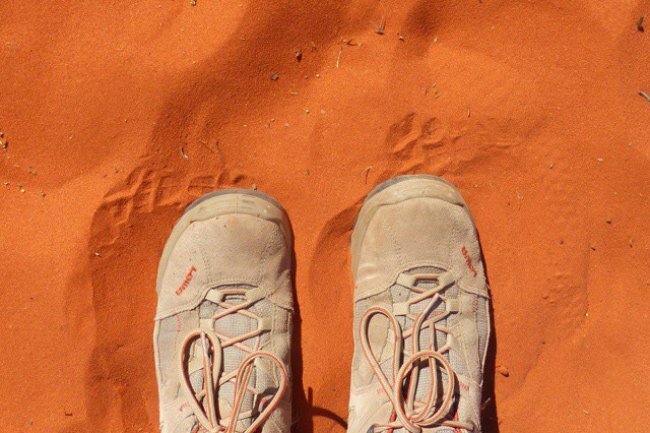 The outback isn’t a big playground, it’s the wild and you should see it as such. There is no need to be super scared or constantly on the edge. But preparation and precaution are key. 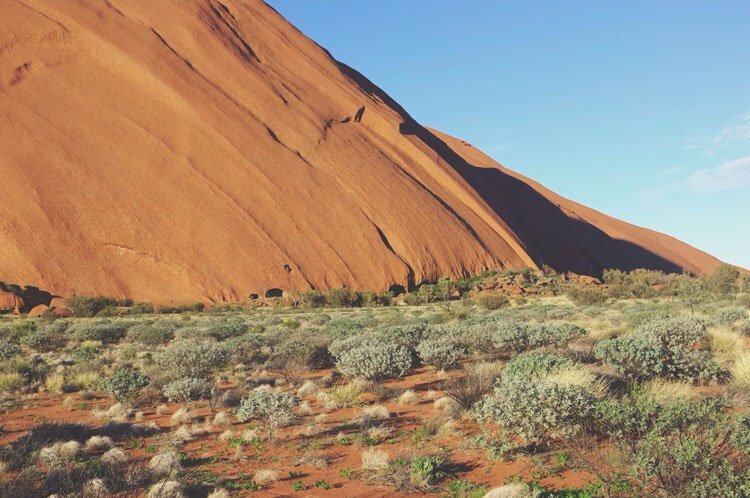 When I was doing a tour from Adelaide to Coober Pedy, it took us five days to reach Uluru coming from Adelaide. This meant up to eight hour drives per day. Always check available camping sites, road stops, petrol stations and distances between towns and destinations to avoid unpleasant surprises. And more importantly, know when you leave the main roads and hit an Australian off road. 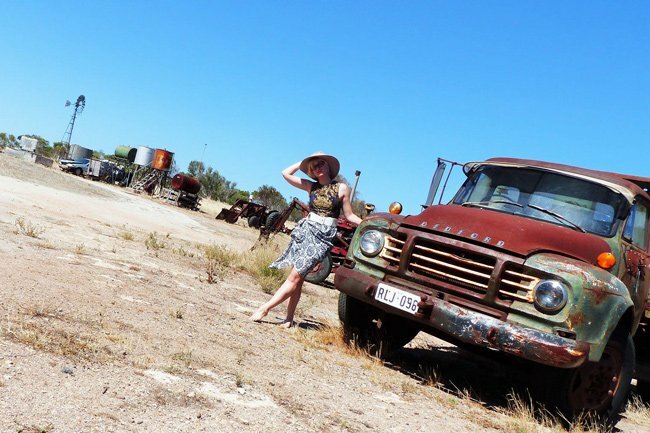 Especially between Alice Springs and Darwin, there are plenty of fun and funky Australian roadhouses. If you venture out on the Australian off road, you gotta take necessary preparations to ensure your safety in case things don’t go according to plan. 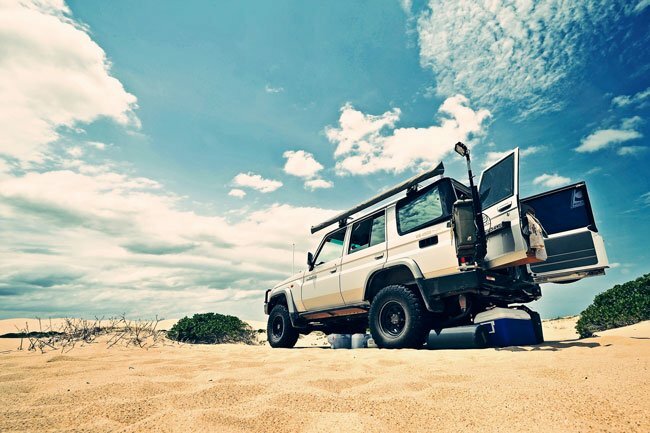 Your number one priority should be having enough water with you in your Aussie 4×4 and daypacks. Pack a few big jugs of water (and cover them up so they don’t heat up as much. And when they do, don’t throw away water cause its warmth feels gross. It’s vital! And you’re quite spoilt it seems.) The general rule of thumb is to drink 1-2L for every hour outside. So this can easily be more than 8 litres per day! You will sweat it out in no time, so don’t be intimidated by the number. In case you run out of gas, you need to bring a few gas containers with you! There is no way around this. Stuart Highway might be an easy road to drive along as its super straight and even but road stops and petrol poles are spread far and wide. If you are very unlucky, they might not have enough petrol for you and you have to wait for the refill, which can take a day. Next, you need enough food with you. To keep it fresh in your 4 wheel drive, bring an esky (cooler) and fill it up with ice. Don’t just pack in beer in there, think of fresh ingredients, such as greens and sauces for your sandwiches as well. Eat those as soon as possible and keep dry food items for the end of your trip, such as snacks. Great snacks that won’t go bad easily in the sun are nuts, dried fruits, musli bars (without chocolate coating) and beef jerkies. Having a receiver and/or radio are very helpful in communicating with other drivers along Stuart Highway and especially before heading to an Australian off road. This way, you can hear about any problematic encounters ahead, such as roadkill that is attracting birds of prey and other predators and thus blocking the road or people who have been stranded. This could also be you and this way, you can contact others and ask for help. Just standing by the road waiting isn’t very fruitful as it can take hours for another car to pass. If you can drive, you know the basic road rules. Still, when you are in the outback and on an Australian off road, there are certain things that need extra care. There is an unwritten set of rules, known as road etiquette that you should know. To break it down, always be aware of your surroundings, whether you are in your 4 wheel drive or wandering about. If you see stranded persons, you gotta stop and ask to help. You can’t just expect people to take care of themselves or others to chip in. There might be no one else there coming for a good while. And the sun out there is brutal. If you see wounded or dead animals on the street, get them off if you can. Check pouches of female marsupials for living babies. If there is indeed one, bring it to an animal shelter. Use the car radio to inform other drivers. 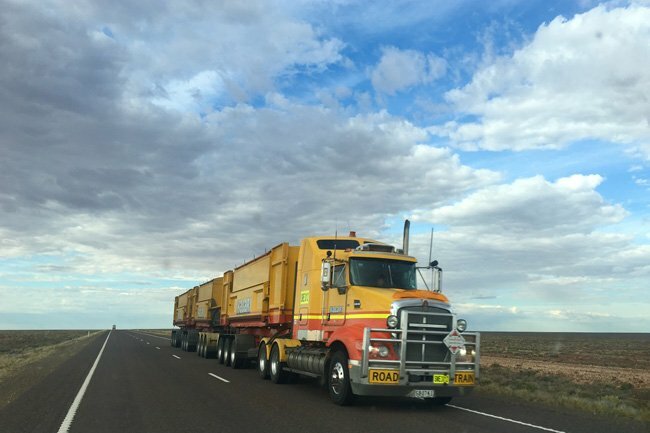 A speciality of Australian outback roads, like Stuart Highway, are the monstrous road trains. 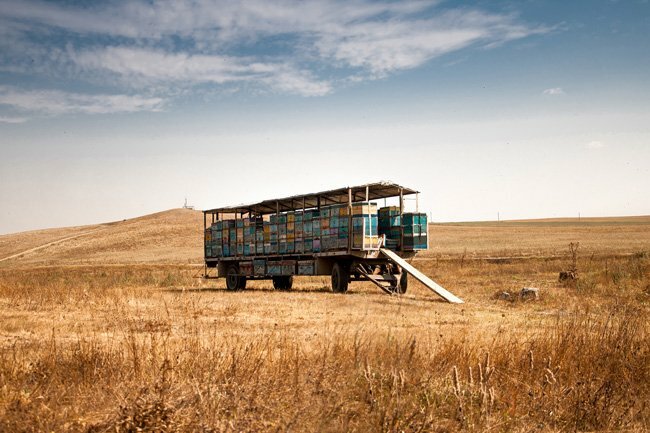 These are three-tier trucks up to a length of 53.5 m (176 ft). They can run up to 130km/h and don’t slow down, so if you see one approaching, stay in the left lane, slow down or – even better – pull off the road entirely. Those trucks will shake your Aussie 4×4! Avoid driving at dusk or dawn as many outback animals are nocturnal and will be out and running at those times. Many aren’t the smartest animals and will cross the street as soon as you come by. They are animals, they don’t wait patiently. Never drive fast during those times of day if you have to drive. The risk of hitting an animal is rather high. And you will encounter more roadkill because of this as well. 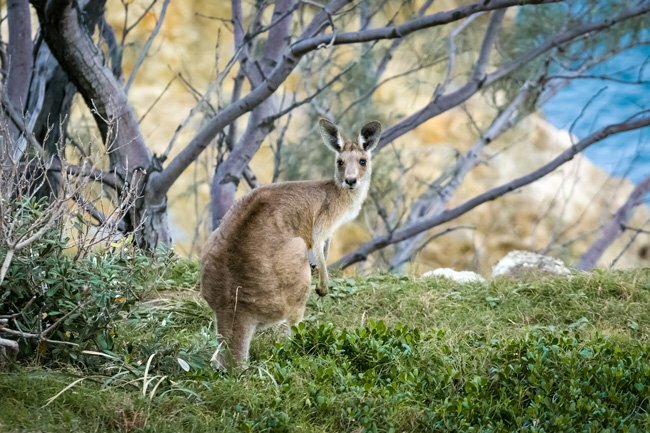 The number one fear of most people when it comes to the Australian bush are dangerous animals. To be fair, Australia as a lot of those. In fact, six out of the twelve deadliest snakes are native to Australia and all of them slither all over the state of Victoria. 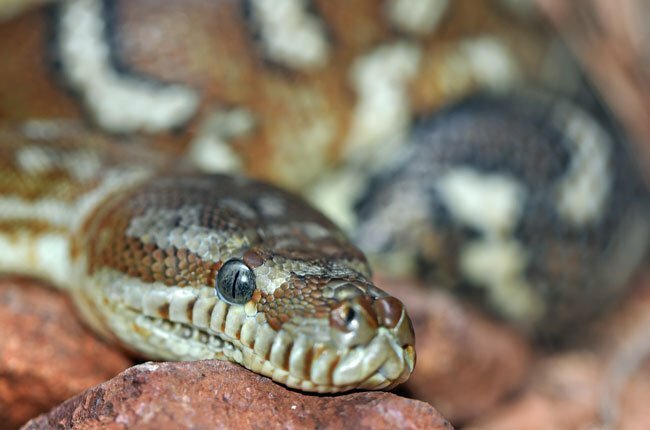 But on the bright side, snakes usually want nothing to do with humans and if you watch where you step and step onto rocks instead of briskly over them, you give them a better change of vacating the premises instead of confronting you. 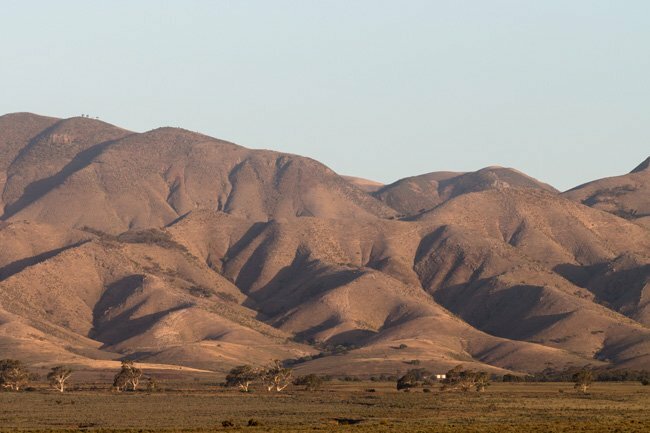 Before setting up camp or unrolling your swag after parking your 4 wheel drive, check the area for potential animals and clear as much as you can. This is both, so you don’t end up sleeping on an uncomfortable twig or wake up being hissed at by a snake or bitten by ants. Bullet ants are the worst. Stay clear of them cause they bite through socks. 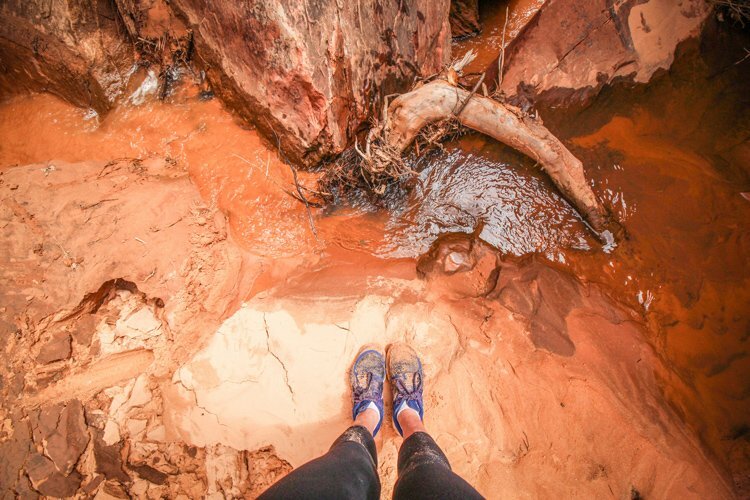 Speaking of socks, always wear closed shoes in the outback, no matter the temperature. This is to not get bitten that easily and also not hurt your toes on rocks. This happens more often than people care to admit. Stay clear of dangerous areas and take heed of warning signs. If there is a sign saying there are crocodiles. Do not go anywhere near a body of water. In fact, north of Broome (imagine a line across Australia), don’t go anywhere near water UNLESS you are told it’s safe and the water is monitored. This includes beaches as well. Stick to lagunas if there are any and don’t go into the ocean without a special swimsuit during box jellyfish season (Australian autumn time). Even on long rides on highways and Australian off roads, you should smear sunscreen onto your skin. You know what? UV rays can enter through window glass as well, which is why statistically truck drivers have a huge problem with black skin cancer on their right arm (the one that leans on the window). The ozone hole above Australia is nasty and you will turn lobster red in no time – even on cloudy days. Sun lotion needs to be your best friend even if you feel like you are sweating it off anyway. Reapply! While we’re on the topic of sun protection in Australia, dress accordingly. This means wear a hat at all times when outside, stick to shady areas and wear sunglasses with a UV filter! Throughout my eight months in Australia, I used my sunnies (Australian slang) daily and as a result, the outer protective layer slowly got fried and slowly peeled away. This is how intense the sun hits you! If you can, wear long, loose clothes to get extra protection. Though, it is easier said than done when it is 40°C outside and you just want to rip off all your clothes, especially when it’s humid and everything is sticky and clings to you. Bush fires are a real and very severe threat in the bush. You really need to take heed of local announcements and warning levels. Along the road you will occasionally see big signs indicating current fire danger levels and according to those you may or may not make controlled fires. Do not think you are in control. When there is an absolute fire ban, you should not even think of lighting a match! 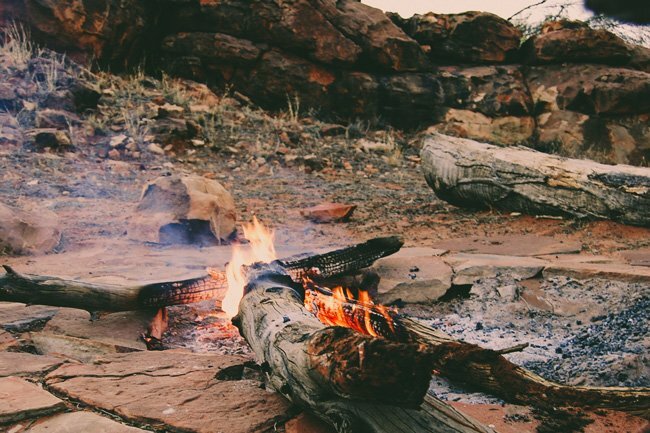 When you make a fire in the outback, choose an even, sandy ground without any dried woods, grassed and greens around. Clear the area, form a circle of stones and put the dried wood in a small (!) pile in the middle. Always watch the fire; don’t ever leave it unattended. Don’t just let it burn out when you had enough but make sure it’s entirely scorched and there is no glimmer anymore. Cover it with sand to make extra sure. It also helps keep animals away. Uneaten food needs to be packed away safely and stored within your car. Pack as much as you can into the esky to keep it fresh and avoid germs. Food goes bad easily in the heat of the sun and I know this too well. I contracted a really bad case of food poisoning while in the outback and it took me two days to stop vomiting and was passed out most of the time. It could have ended really badly as the nearest town with doctors was six hours away and I was critically dehydrated and couldn’t retain any liquids or solids. Your new best friend in the outback when it comes to hygiene and food preparation should be your hand sanitiser. For lack of running water and soap, this is your main device for battling germs. Use it plenty and always before food preparation. Clean your utensils properly and don’t just “rough it” because you’re in the outback. Your stomach will thank you because let’s face it, if you haven’t been living and eating in the dirt before, it won’t immediately adapt and develop fierce resistance. Another important food hack is to wrap it in a bag and hang up on a tree, out of reach of taller animals. Because food attracts animals and if they can’t get it, they will move on. On Fraser Island, for instance, dingoes will come and they can be cheeky and eat through your bags! Don’t leave doors open or unlocked either. When you have found a camping ground along your Australian off road you would like to stop and rest at, park your car safely and securely. Pick a spot where the floor is mostly cleared and stay away from piles of stones, grass or bushes. Those are classic snake resting spots. There are different ways to “make your bed” in the outback. A favourite among Grey Nomads – retired Australians who sold their homes and have become nomadic – is a tent in their car. They literally set up tent in the back and at the top of their car, creating a cool home for the night. Sometimes it stays stationed for a couple of days. Option two is to get a portable tent and set it up to sleep inside with a sleeping bag. Always make sure all the zippers are closed and you keep any food out. Ants and creepy crawlers will want to come swarming to you otherwise. Avoid carrying too much light with you unless you like an onslaught of insects. The final option – and my favourite – is to get a swag. A swag is essentially an outdoor sleeping bag made from sturdy canvas. It holds a tiny mattress and plenty of pockets within. Even though it sounds uncomfortable to just place it on the floor, it is actually really nice. For rainy days or to protect you from wallabies licking your face in the morning, there is a flap to cover your face. It took me a while to make peace with swags (especially with my OCD) but now I love them. Let’s be clear. Most times, there won’t be any toilet. Maybe an outhouse. But those are even grosser than just going into the bush. And ew, all those flies and smells from the disintegrating excretions! Bush peeing is the way to go. And using hand sanitiser afterwards AT ALL TIMES. No negotiation there. On camp sites, there usually are strings of toilets and showers, so you can refresh after a long day (or couple of days). If drive across the Nullarbor Plain, for instance, there won’t be any. So if you come to terms with being coated in sweat and dirt throughout the entire trip, then good for you. That will be a reality. There seriously is so much to experience in the outback. It shouldn’t get boring and if so, isn’t that good for a change? Rather being bored in the middle of beautiful nature than behind a desk at a cubicle. Listen to the sounds of nature. Take a closer look at the local fauna. Look for animals. Watch the sunrise, sunset and the entire galaxy unfold in front of your tired eyes when gazing at the sky. Adventures can be had galore as well. 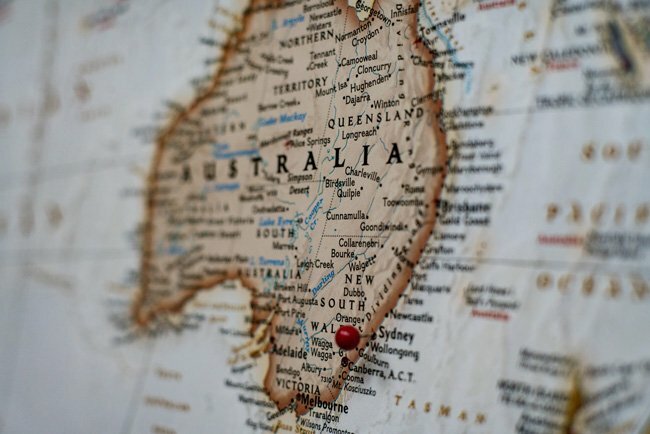 If you plan ahead and know your stops, you can easily schedule in plenty of extra activities throughout your Australian off road trip with your four wheel drive. 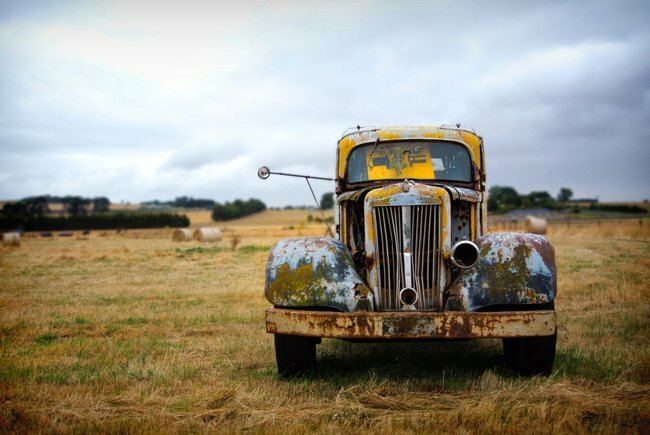 After you have completed your Australian outback roadtrip, you might want to resell your car. After all, you most likely won’t take it with you to the next country of your travel itinerary. The way to go is similar to getting your 4×4 drive. You can start telling everyone, put up notices and jump on Gumtree. 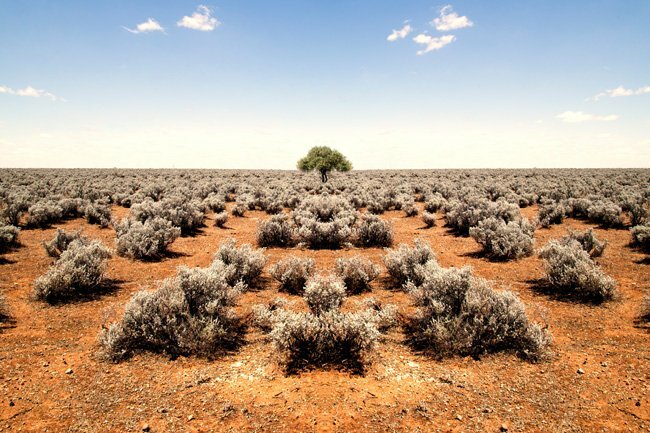 There are plenty of other travellers in Australia who want to have an outback adventure themselves. Describe your car, mileage, etc in as much detail as possible and make it easy for people to get in touch with you. Pick lots of good keywords, such as “4wd for sale”. Take a lot of high quality photos, both full view and zoomed in, so people get an instant idea of what the car condition is like. 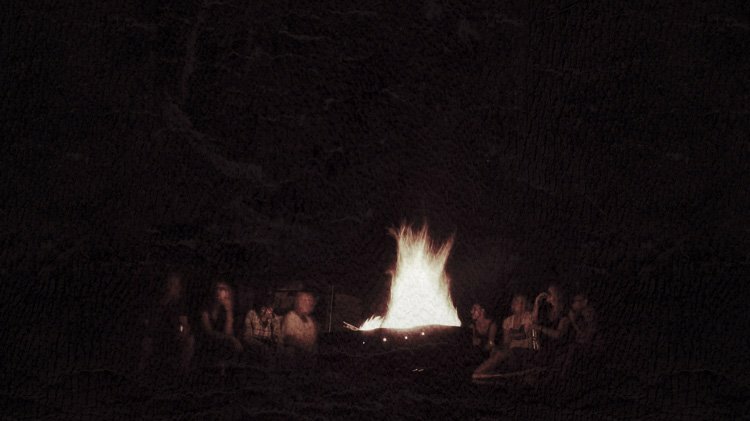 If you cater the description to backpackers, your chances will increase as well. Remember, they want a car fast and cheap. Always answer timely. The best time to sell your car is between June and October as this is where new backpackers arrive to Australia. Many of these will leave again during the Australian autumn, so this is when the seller competition is higher and prices go lower. Heck yeah! 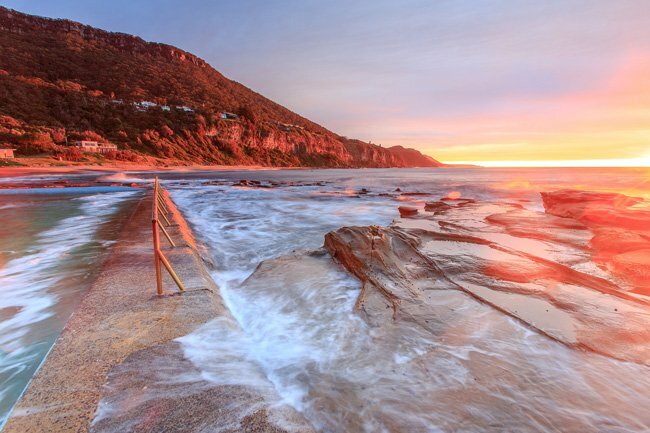 A 4WD Australia Trip is a one of a kind adventure and certainly off the beaten path. If you like to rough it and like a good challenge, this is for you. Sleeping in a swag and having your own four wheels is an indescribable feeling of total freedom. A gazillion stars are shining above, a dingo howls in the distance and you are in the middle of nowhere – as safely as possible. I cannot recommend it enough! 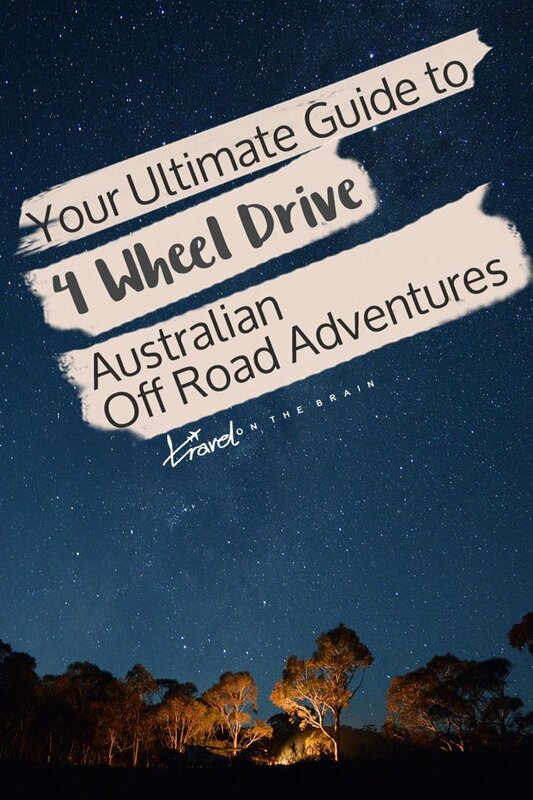 Tell me, where would you like your 4 wheel drive Australian off road adventure to go? How to Find Cat Street Tokyo – Both of Them! 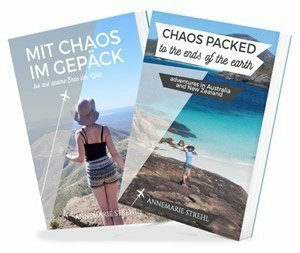 I really like this amazing guide that you put together of what to do in certain situations and everything when off-roading in Australia. 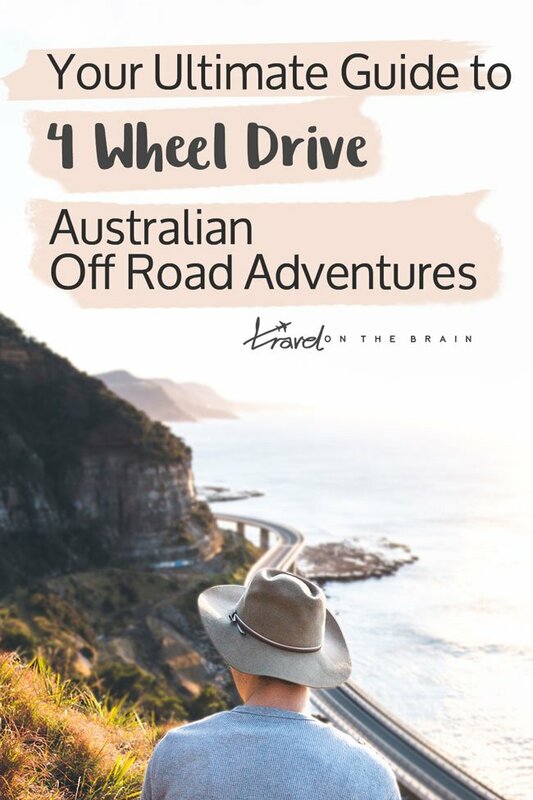 Especially the part where you talk about a 4WD trip around Australia being a one of a kind adventure. This is something that my wife and I have been wanting to do for a long time now. We think it would be such a fun and amazing experience so we’ll definitely have to look more into getting an off-road rental for this trip. Hi Burt, I am happy to hear you found my guide useful. I hope you and your wife get to experience such an amazing trip. It truly is special.